Indus Motor Company Limited was formed in accordance with the terms of a joint venture agreement concluded amongst House of Habib, Toyota Motor Corporation and Toyota Tsusho Corporation for the purpose of assembling, manufacturing and marketing of Toyota vehicles. The company is the sole distributor of Toyota vehicles in Pakistan. During the year the network serviced and provided maintenance facilities for more than 100,000 vehicles. 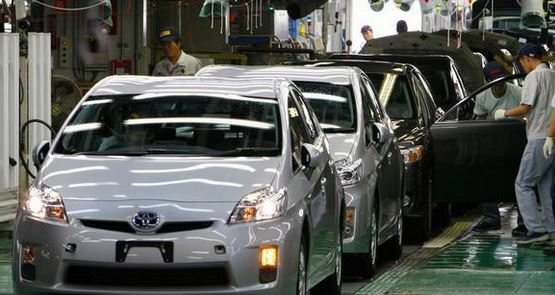 Manufacturing of Toyota vehicles accounted for 94% of fiscal 1999 revenues and trading, 6%. 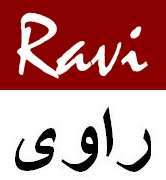 The company was incorporated on December 17, 1989 and obtained certificate of commencement of Business on May 31, 1990. On July 01, 1990, the company was appointed Distributor of Toyota vehicles and Spare Parts. It has completed 8 years of commercial operation. More than 25000 locally manufactured units have been sold with a deletion rate of 40% and 33% capacity utilization. The guiding principle of the company is to become a leader in technology and customer satisfaction. The company aims at building lasting relationships with business partners and becoming a contributing member of the community. Indus Motors tries to foster a corporate culture that honors individuality and promotes teamwork. Comprehensive budgetary planning ordinarily begins with the distribution to all executives a set of forecasts and assumptions as to the future state of the company and its probable impact on the company’s business. These forecasts and assumptions and limits are extended to the corporate offices in different cities of Pakistan as well as other countries by the parent company, TOYOTA Motor Company, Japan. The head of each department solicits suggestions and proposals from his subordinates. This at Indus Motor Company is known as participative budgeting. Based on these suggestions and after assessing the future needs of the department, the manager then prepares a budget. These tentative plans from each department are the submitted to a budget committee. A standing budget committee is usually responsible overall policy matters relating to the budgeting program and for coordinating the preparation of the budget itself. This committee generally consists of the president, vice presidents in charge of the various functions such as sales, production etc, and the controller. All departments are required to justify their needs. Is it consistent with company objectives and plans of other parts of the organization? Is it feasible in the light of the company’s financial, marketing and production capacities? After all the reconciliation of the departmental budgets and a detailed review of these budgets, the budget committee prepares a budgeted profit and loss statement. This process is much more iterative, with tentative budgets being proposed, discussed and revised again and again as they move upward toward final approval. The process is one of progressive dialogue; and executives seldom receive a budget proposal from a subordinate without having discussed vital aspects of it ahead of time. Through vertical and horizontal communication, these plans are adjusted and readjusted until they become a set of integrated and realizable objectives consistent with overall company policies. The left-hand column of the above figure lists the major physical elements that the management of Toyota deals with. These are translated in the next two columns into monetary terms as budgeted operating costs, revenues and expenses. Finally, these cost and profit budgets are brought together with planned capital expenditures and plans for financing the entire package to form the finance budgets shown at the right of the figure. Indus Motor Company uses a fixed budgeting process. They use only one level of sales or production capacity, that is all budgets for manufacturing, selling and administrative activities are based on the single estimate of sales. To force management to reexamine its objectives, its methods and its costs. To encourage executives to quantify their plans and to test them against objective standards of desirability and feasibility. To give management a chance to anticipate environmental changes, thereby increasing its ability to shape the organization’s future. To develop a formal statement of ends and means that can serve both as a continuing reminder for the guidance of day-today management and as a benchmark against which to measure actual performance. Statistical tools such as regression analysis, trend and cycle projection, and correlation analysis are used by the regional managers to quantify market demand into sales forecast. Then, these sales estimates are send to Japan in April. As all the CKD units are imported from Japan, so two months time is given for the imports to come to Pakistan. The order arrives by June from Japan and the production starts in July. Indus Motor Company does not make a separate production budget. Instead, they use the sales forecast as a base for their production. The reason to this is that since the cost of making a single unit is very high, therefore the company aims to keep its finished goods inventory to a minimum. Also, the company ensures that dealers do not pile up inventory at their showrooms thus taking advantage of lower prices in prior bookings than some months down the line. So, the dealers are not supplied in excess of their demand. Out of the total cost per unit, 90% comprises of material cost. Many of the materials used in the production of a unit are imported, hence if the materials requirement is inaccurately budgeted it will greatly increase the cost per unit. Since most of the materials are imported, they are exposed to adverse movement in the Rupee to Yen exchange rate. They make their materials budget keeping in view the expected forward exchange rate. However, it is subject to the exchange rate fluctuations which might lead to an unfavorable variance between the actual and budgeted. This variance is then explained in the quarterly variance report. Each year a comprehensive statement of manpower is made. The actual data for the last four years is reported along with the budgeted. The data is divided into two blocks. Upper block consists of the data regarding managing directors, directors, managers, secretaries, team leaders and watchmans. However, the lower block lists the peon, drivers and staff on contract already employed and additions requested by each department. Each department submits its own request for addition in manpower. This request is then accounted for by adding it to last year’s actual data to arrive at the budgeted manpower figure for the next year. The company makes no formal budget statement for either labor or manufacturing overhead, as both are incorporated in the expenditure budget. Items such as wages, fringe benefits and staff over time are included along with supplies, utilities and other expenses under the head of expenditure budget. Based on the manpower budget the company estimates the future labor expenses. These expenses are made keeping in view the nature of work and the skill and number of the required labor as they are then paid accordingly. The overhead accounts that come under this budget are like insurance, rent, research and development, supplies, transportation. All items in the expenditure budget are estimated on the basis of sales forecast. Also these items are accounted for that year’s inflation rate. Further, the company keeps abreast of the changing technological trends in the market, for example the budget of 98-99 introduced a new head of expenses namely Y2K and ISO 9002. Instead of preparing a separate sales budget and cost of goods sold budget, Indus Motor Company incorporates the two in a budgeted income statement. The budgeted income statement firstly shows the sales forecast in terms of Rs., that is the expected units multiplied by the expected selling price. Next, the budgeted income statement gives a detailed picture of the cost of goods sold. Here items like conversion costs that come from the expenditure budget and depreciation that comes from the capex budget are present. Finally the income is taxed. In addition to normal and deferred taxation, there is a presumptive tax, that is tax on the imported raw materials. On the bases of budgeted income statement, cash flow statements and capital expenditure, the company constructs the budgeted balance sheet. Input from the top management and other departments are taken to incorporate any changes. For example, the board of directors may plan to give out dividends either in cash or in shares. These changes are then incorporated in the equity side of the balance sheet. From the budgeted income statement the profits are added to last year’s retained earning, keeping in view dividend payouts. Further, the net values of assets are calculated from the budgeted capital expenditures and depreciation that is included in the budgeted income statement. Other heads of liabilities and receivables are based on the company’s expenditures and receipts respectively. They are further broken down into long term and current. Capital budgeting relates to actions regarding the planning and financing of capital out flows of such purposes as the purchase of new machinery, the introduction of new product lines and the modernization of plant facilities. These types of expenses are only initiated if the company feels that they will contribute reasonably to profits. The marketing department initiates the minor improvements in different products in order to attract sales. These improvements provide the customers with a wide variety to choose from in terms of prices and features. The major capital expenditures are spread over a period of years so that in any one year the annual cash flow statement does not show a burdened position. If any new product is to be launched the company has to take prior approval from their head office in Japan. Adequate time has to be given to the head office in Japan, as it is the main provider of the raw materials, consisting of CKD kits. The head office has to plan its production according to the demand and request from various subsidiaries and keeping in mind their capacity levels. Further, a feasibility study has to be conducted for every major capital expenditure and on its bases it is then decided if the plan should be executed or not. The budget committee at Indus Motor Company plays a very important role in deciding each proposed budget of every department. The committee reviews each budgeted item and then decides upon its implementation keeping in view the company’s objectives. The budgets are formulated for each year and at times if the need arises a proposed mid term budget is also made which incorporates major and minor capital expenditures for the next five years. Putting the projections together to come up with cash flow bottom line. The actual accounting systems of the company may not be in balance with the standards as discussed in books. This is because the company needs to survive in the dynamic market and competitive automobile industry, thus has to bridge in gaps by alternative accounting practices. Separate budgets that make up a master budget are sales budget, production budget, direct materials budget, direct labor budget, manufacturing overhead budget, ending finished goods inventory budget, selling and administrative expense budget, cash budget, budgeted balance sheet and a budgeted income statement. At Toyota, formal sales budget, production budget, direct labor budget, manufacturing overhead budget and ending finished goods inventory budgets are not made. They start their budgeting process by the sales forecast submitted by the Marketing Department based mostly on the budgeted sales plan made by their dealer network. Also production budget showing the expected sales together with the desired ending inventory and the beginning inventory is not made. Thus the whole process of budgeting at Toyota could be made more structured and formal for setting better future standards. The revenue expenditure budget that is made at Toyota shows the labor expenses like staff salaries, staff overtime e.t.c, along with the overhead expenses. Hence, there is no separate labor budget that shows what is the labor rate and how much labor hours are required to produce a unit. This makes it very difficult to determine how much is the labor cost per unit and what is the breakup of indirect and direct labor. Labor costs should be accumulated by means of some type of work record prepared each day by each employee. These work records should constitute an hour-by-hour summary of the activities completed during the day by the employee. When working on a particular unit or model in a batch, he should note the number of hours spent on the particular task involved. When not assigned to a particular task, the employee should note down the type of indirect labor, which he was assigned, and the number of hours spent on each separate task. At the end of the day, the hour-by-hour record of the work done by each employee should be carefully analyzed in terms of number of hours assigned as direct labor to a particular unit and the number of hours assigned to manufacturing overhead as indirect labor. Also this daily record will then constitute basic source document that can be used for labor cost entries into the accounting records. Manufacturing overhead cost is a part of the revenue expenditure budget as already mentioned. It is not divided into fixed and variable components. Simply all the heads are given in the revenue expenditure budget. Also there is no acceptable way to assign overhead costs to units of product such as predetermined overhead rate. There should be an allocation process. This allocation of overhead costs to each unit produced can be accomplished by having the manager select an activity base. Then by means of this base, an appropriate amount of overhead cost can be assigned to each unit produced. However, the manager should choose the right base so that the overhead application is accurate. Most widely used activity base is direct labor hours and direct labor cost. However, none of them can be used for allocating the overhead cost at Toyota, because of two reasons. Firstly, they do not have a record of labor hours since they do not make any formal labor budget that would give them the hours worked or the labor rate per hour. Secondly, the manufacturing process at Toyota is capital intensive. So direct labor probably has little to do with the incurrence of overhead cost and therefore may not be appropriate as base for computing overhead rates. Instead, they should use a base that acts a cost driver in the incurrence of overhead cost. Hence, in such an automated process, machine hours would be an appropriate base for computing the overhead rates. At Toyota, all budgets are made in accordance to the submission of forecasts by the various departments and finally these budgets are incorporated into one consolidated budget. Thus in addition to the total budget, there is a record of each department’s forecasts and demands with the management. This increases the transparency of the system as it is easier to track where the strengths and weaknesses lie. If there is a problem in the budget due to any one department, the management will resolve the problem of that department with the help of budgeting committee. The procedure of tracking down variances is dealt very efficiently at Toyota. A variance report is prepared every quarter. There are two methods of calculating variances. Firstly, the company compares the actual performance of the year with the budget prepared for that year to know how much deviation from the standards has been there and how far the company has been successful in meeting its ends. Secondly, the company compares the budget made for the next year with the actual performance of this year. This helps the management to know what amount to allocate to different heads or departments based on the upward or downward trend which is visible from the actual results of this year. Thus such a variance analysis helps overcome the weaknesses of the proposed next year’s budget. At Toyota, the making of materials budget is a very crucial step and all the concerned departments take it very seriously. However, a major drawback in the whole process of preparing materials budget is the usage of an assumed or say expected forward exchange rate of rupee to yen. Thus the cost of budgeted materials as determined by the materials budget is exposed to exchange rate fluctuation. Even a minor change can result in major revision of their materials budget, since the major raw material, which is CKD kits is imported from their head office located in Japan. The whole process of budgeting starts with the sales forecast. Hence, the sales forecast should be as close as possible to the actual demand of the product in the market. However, at Toyota this process begins by a request of sales forecast from their dealer network. This forecast is then combined with the sales forecast prepared by the company’s Marketing Department. It sometimes happens that their dealers, in order to show their own good performance, overestimate the future sales. Based on the inaccurate sales forecast of the dealers they overestimate their future material requirement. Since 90% of per unit cost is that of material, this mistake in the beginning means a lot of material cost that could have been avoided otherwise. Also, due to heavy reliance on the inaccurate sales forecast made by their dealer network, they face inventory pile up. This means high inventory carrying cost in the form of storage space costs, handling costs, insurance, obsolescence losses and interest on capital invested in inventory. Thus, they should not rely too much on their dealers forecast. Rather their own Marketing Department should initiate the process, prepare their own sales forecast and then supplement it with the sales forecast made by their dealers. MAKING OF CAPITAL BUDGET AT INDUS MOTOR CO. This year the company does not plan to introduce any new model therefore the capital expense in this category is only limited to the introduction of a new Jigs manufacturing plant for the production engineering and maintenance department. The expense allotted amounts to Rs. 28.6 mio, where as tools and equipment for the new Jigs for various shops is Rs. 0.8 mio, which is for the production department alone. The expense in the CKD yard for additional work totals to Rs. 2.319 mio, which has been carried forward as a result of last year’s project. The amount budegted to this project was Rs. 25 mio as the actual amount was Rs. 22.6 the remaining expense has been accounted for in the year 1998-99. The shifting of the local parts store expense that was Rs. 1.3 mio has also been carried forward from last year’s variance. Renovation of administration block and construction of walting area, time office, administration store, security room amounted to Rs. 1.125 mio which was carried forward from last years capital expenditures. Further an incinerator for the disposal of solid waste will be installed by the administration for Rs. 1.3 mio. In this category the main expenses included the purchase of photocopier machines and air conditioners. The major item of purchase is hydraulic suction machine which would cost the department Rs. 1 mio. Four photocopiers will be installed in order to replace the existing machines which have high maintenance costs. New air conditioners are accounted for, as the existing ones are not working properly. Due to the up gradation of AS 400 the company has allocated an expense of Rs. 14. 63 mio. This is a major expense which had been absent from previous budgets. An amount of Rs. 4.0 mio has been budgeted in order to reduce communication costs in future. This reduction in costs is 40% that will be achieved by eliminating 01 lines of Karachi calls. As per company policy Indus Motor Company has given four car loans to its employees pertain to the following departments: Finance, CR, PD and Commercial departments. These costs were allocated to these departments’ production engineering and maintenance, services and parts. This head included items such as furniture and fixtures, office equipment and loose tools and equipment, which amounted to Rs. 1.6 mio. According to the new policy of staff overtime expense allocation formulated by the HR department, the company has allowed overtime only to the workers of Plant Engineering and Maintenance. Due to which the budgeted expense under this head has been decreased by 92%. Each department submits its own advertisement and sales promotion budget which relates mainly to upcoming model change and new dealership expenses, that is then consolidated and finally accounted for in the Budgeted profit & loss statement for that year. Keeping in view new production and marketing plans adopted by the company, the 99-2000 budget included greater allocation to budgeted items due to the launch of their new 850cc car, CUORE. There has been a 51% increase in the budgeted expense under this head due to the consultancy of Ford Rhodes for fixed assets register and systems design. A 96% increase in this expense is attributed to increase in rates and trips from Japan from upcoming model changes. In 1997-98, the transportation expense was higher because of the transportation of 310 units Sind Police, 86 units Punjab police, totaling Rs. 1.634 million and export to Srilanka, Tanzania and Nepal totaling Rs.0.124 million. As the company does not expect to incur the same expenses the budgeted expense has been reduced by 82%. The actual expense for 97-98 under this head is very high due to the fact that in that year sample parts for Corolla and CKD components parts were imported for research and development. As the above activities are not in the proposed plan of the company for the year 98-99 the budgeted expense for the year has been reduced by 66%. As there was increase in the sales of parts, running royal expense has increased by 49%. As these expenses are based on current estimates by the department the budgeted expense has decreased by 25%. This expense is budgeted as per submission by each department, which has reduced by 28%.